According to a report by AdAge, location-based check-in service foursquare is starting to get serious about making money. It has hired former Apple iAd exec Steven Rosenblatt as Revenue Chief, the first such role the company has had in its history. 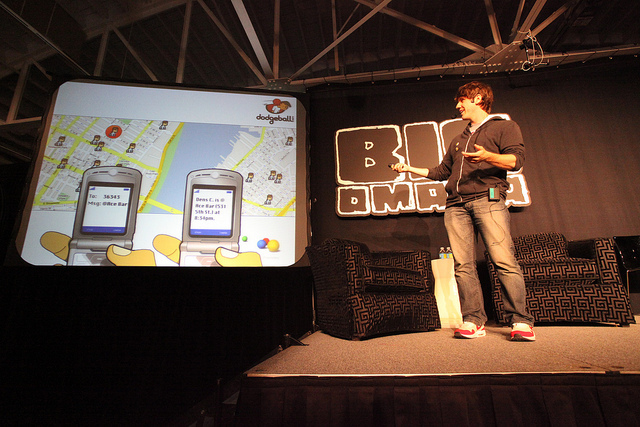 Foursquare has shown that its serious about getting more companies to join its platform by way of claiming their venues with a new simple verification process that will run them $10. The company recently announced that the new feature is available to companies worldwide. By bringing in Rosenblatt, the company is getting someone who has spent a long career in the mobile space. Before joining Apple, he was a VP of advertising sales for Quattro Wireless. Apple purchased Quattro in 2010, and Rosenblatt went on to help lead the iAd division. The iAd product was introduced as a highly interactive ad unit only offered to a top tier of advertising partners. With all of the talk today surrounding Facebook’s IPO, the question of how companies can advertise on mobile platforms effectively continues to gain steam. This appears to be the perfect hire at the exact right moment for foursquare. I think what we’re most excited about is helping create new products and building new tools for our merchant partners to be able to reach new customers. He has a lot of work ahead of him, as does the company, but it looks like the team is on the right track. Foursquare lost its head of Business Development, Tristan Walker, at the beginning of the month, so today’s announcement will help lighten that blow. If foursquare is going to make serious money, it must figure out a way to reach its users without forcing them to take a “check-in” action, which it attempted to do with its “Radar” feature. Radar would alert you when you were close to venues and share deals with you, but as is the case with most location-aware apps, it’s an absolute battery drain.